Our dental office serves the greater Phoenix area with your utmost comfort in mind throughout. There are large flat screen TVs mounted in each room for you to view satellite TV, movies and relax during treatments. This combined with the latest technology provide you with the quality and safety you need for dental surgery. We use the latest technology to make your visits as fast and stress-free as possible. Dr. Kidess and her team of dental professionals provide quality cosmetic dental surgery to improve your smile. We also perform dental surgery to remove teeth, root canal treatment and other oral health procedures. Sedation dentistry is a common part of many major dental procedures such as root canals or wisdom tooth extractions. Dr. Kidess is a board certified sedation dentist serving the greater Phoenix, Scottsdale, AZ areas. We treat you with the attention and compassion you deserve. When you arrive for your consultation, you’ll be given the opportunity to ask questions and learn what your procedure will entail. 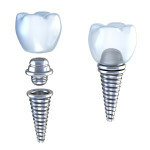 Dental implants: If you have one or more missing teeth, these can be replaced with dental implant surgery. Dental implants use artificial tooth roots that are fused into the bone to support crowns, bridges or dentures. These provide a strong foundation for replacement teeth that look and feel as natural as possible. Wisdom teeth removal: Wisdom teeth are the third molars located in the very back of your mouth. Many times these teeth don’t have room to grow properly. Often they will come in crooked or become impacted beneath the gum line. Removal may be recommended even before problems develop. This is often done to avoid a more painful or more complicated extraction that might have to be done a few years later. Tooth extractions: Besides removing wisdom teeth, dental surgery may be used to remove a tooth that is broken or damaged by decay. A loose tooth may need to be removed if it can’t be saved with periodontal surgery, bone replacement surgery or bone graft. Bone Grafting: Sometimes there is insufficient bone for the placement of dental implants. Bone can be lost for a variety of reasons, including disease, injury, or missing teeth. Ridge preservation is one kind of bone grafting done by placing a regenerative bone grafting material into the one or many empty tooth sockets. This is done to rebuild the bone where extraction has left an empty weakened area. Root canal treatment is done when decay has damaged or already killed a tooth nerve. Root canal treatment can sometimes treat an infection in an abscessed tooth. The dental surgeon will remove the root canal and the tooth’s pulp. They then fill the cleansed canal and tooth and place a crown on it. Crown lengthening is a dental surgery procedure to remove excess gum and bone tissue to expose more of a natural tooth. This can be used to improve a “gummy” smile because your teeth appear short. Your teeth may actually be the proper length, just covered with too much gum tissue. Dr. Reem Kidess is one of the top restorative, cosmetic and sedation dentists in Phoenix, AZ. If you believe you may need a dental surgery procedure, contact Dr. Kidess today at (480) 991-2290 to schedule an appointment. “Your very prompt attention an aid in curing my problem was outstanding as was your staff. “I like the fact that the office is so “techie” from email confirmation of appointment, email couple days prior, and text two hours before appointment. When one steps foot into the office all personnel are so very friendly, outgoing, as well as business-like. so patient in a difficult situation. We appreciate all that you do. “Every experience at Dr. Kidess’ office is a positive one! Everyone is professional, friendly and genuine! And, Dr. Kidess? OMG! I LOVE HER!!! FROM THE TIME I ENTER THE OFFICE I’M GREETED BY A VERY FRIENDLY JESSICA..SINCE I OPERATED A COMMUNITY PHARMACY FOR 45 YEARS; WE STRESSED FRIENDLINESS AND HOPEFULLY THE BEST SERVICE IN TOWN. DR. KIDESS AND HER STAFF ARE VERY PROFESSIONAL AND VERY FRIENDLY… THEY MAKE YOU FEEL AS IF THEY HAVE KNOWN YOU FOR A LONG TIME AND ARE PART OF THE FAMILY …DR. KIDESS ALSO HAS THE LATEST DENTAL EQUIPMENT IN THE INDUSTRY..
SHE IS AN EXCELLENT DENTIST AND I WOULD RECOMMEND HER TO ANYONE …. THANKS FOR YOUR WONDERFUL SERVICE!!! An effective dental office is a clean, welcoming and relaxing environment that intends to put patients at ease. At Dr. Kidess’s Paradise Valley dental center, we prioritize your comfort.